Today is the official release day for Sophie Coulombeau’s Rites, winner of our Next Great Novelist Award. Four teenagers make a pact to lose their virginity away from the watchful eyes of parents and priest. Fifteen years later, they reflect on the past and unravel how it all went so horribly wrong. Sophie Coulombeau was brought up in Manchester. She studied at Trinity College, Oxford and the University of Pennsylvania and subsequently worked for the British Civil Service in London and the European Commission in Brussels. She is currently reading for a doctorate in English Literature at the University of York. Rites is her first novel. 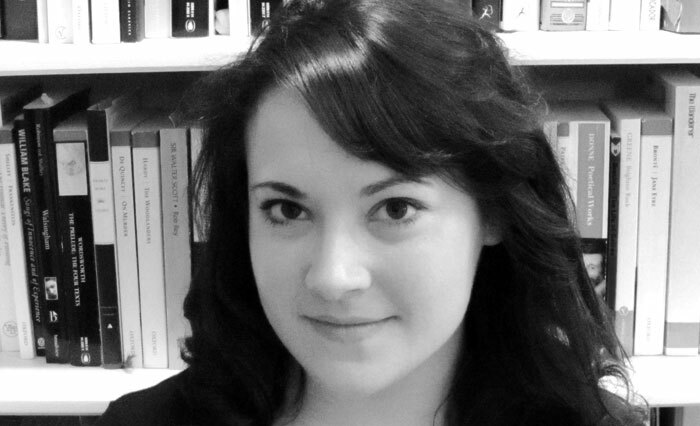 Route are delighted to announce that Sophie Coulombeau is the winner of the 2011 Route Author Competition. Her novel provisionally titled Rites beat off strong competition from a group of exceptionally talented authors under the age of 30 to win a publishing contract. The novel will be published next Summer. Sophie was born in London in 1984, and grew up mainly in Manchester. She did her undergraduate degree in English Literature at Trinity College, Oxford, and has done postgraduate research at the University of Pennsylvania and the University of York. She has also worked for the Ministry of Justice and the European Commission’s Organised Crime unit. She currently lives in York. Her book tells the story of a group of four teenagers who make a pact to lose their virginity away from the watchful eyes of parents and priest. Fifteen years later, they look back on the events and unravel how it all went horribly wrong. The Route Young Author competition was supported by Arts Council England and invited authors aged 18 to 30 to submit manuscripts. Following a rigorous selection procedure, five authors were shortlisted before Sophie was declared the overall winner. The other four shortlisted authors were Sally Ashton, Caroline Hargreaves, Matthew T Potter and Amy Robson. The award also created mentoring opportunities for two young editors to work on the project. The successful applicants, Victoria Price and Rebecca Pedley, have been instrumental in the selection process and will continue to work with Sophie and see the winning book through to publication. We are pleased to announce the shortlist for the Route Young Author competition. The shortlist decisions were made with the support of two young editors, Victoria Price and Rebecca Pedley, who read through all submissions and were faced with the difficult task of narrowing the selection down to a shortlist of five titles. The shortlisted titles will be read by judges over the summer months and a decision on the final winner will be made in late September. The winning book will be published by Route in 2012. The submission process for Yorkshire’s Next Great Young Author is now closed. All submissions are currently being read. We plan to announce the shortlist in late July and a winner will be announced in late September. Many thanks to all those who have entered, it looks likely to be a very interesting reading period. Route is being helped in this process by Victoria Price and Rebecca Pedley, the two successful applicants to our editor training programme. Submission guidelines for our Young Yorkshire Author opening have been published. The deadline for submissions is 31 May 2011. Submissions will be assessed by a panel of readers and shortlisted submissions will be requested to send in the full manuscript after the closing date. The deadline for Editor applications is 31 March 2011. Full details of both openings and how to submit can be found on the Route website. Click here. Route have been supported by Arts Council England, Yorkshire to offer a golden publishing opportunity for a young Yorkshire based author, aged 18-30. Full details of this opportunity, including submission criteria and deadlines will be announced in due course, but for now we just wanted to make the tip-off that it is happening to give writers a head start. Yorkshire is rich in literary history, punching above its weight with a long line of prominent authors. From Sterne and the Brontes, via Priestly and the angry young men to Joanne Harris and David Peace. But who will write for the next generation and what is their story? Born post deindustrialisation and now third-generation from the mass immigration of the 50s and 60s, contemporary young writers have a rich and varied landscape to draw from. There will also be an opportunity or two for aspiring young publishers/editors in the region to get involved with the project. Full details will be published here when the full criteria is announced. Please check back.